Purpose: The aims of this paper are to analyze the organizational performance of competitiveness sustainability through knowledge sharing, and the organizational barriers to implementation in the business environment. Design/methodology/approach: This study was accomplished through questionnaires that surveyed 125 companies located in Abu Dhabi Emirate/United Arab Emirates (UAE). 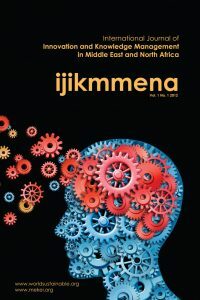 Findings: Findings revealed that organizational culture and management perceptions that are based on individual perception and managerial style have a negative relationship with the perceived benefits of knowledge. Analyses show that management initiatives highlight the fact that not all of them are necessarily successful. Originality/value: The value of this paper is to shed light on organizational performance improvements to increase business effectiveness and efficiency through a knowledge sharing environment, with particular regard to the UAE. Within a business, an area sometimes targeted for improvement is organizational efficacy, which involves the process of setting organizational goals and objectives: performance is a measure of the results achieved. Performance efficiency is the ratio between effort expended and results achieved. It offers suggestions to manage these organizations effectively and profitably.